The implementing body for Priority Issue 9 is JICFuS, and the project will be executed through collaboration among the eight organizations constituting JICFuS. Having designated sub-issues A, B, and C, we will adopt a framework for advancing research through mutual cooperation on problem solving methodologies and optimization, to independently research each sub-issue. 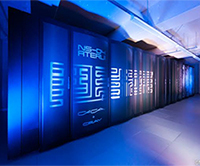 Additionally, we will collaborate with the Advanced Institute for Computational Science (AICS), which is developing the post-K computer, to oversee part of the co-design. Some 100 individuals are contributing to Priority Issue 9. The project is being advanced by the Steering Committee of JICFuS, which manages research, computational resources, and application development, with administrative work being handled by the clerical office of JICFuS.